Image is everything...make lasting first impressions without even saying a word. As seen on TV, this suit is the latest high fashion suit by Mantoni. If you're looking for the suit that have style and sophistication , then this is it! This Italian suit is custom-made and features a buttery soft Italian Wool fabric with the finest drape you'll ever see. This hand-finished suit features all the unique custom works that you'll find only in a tailored made suit. 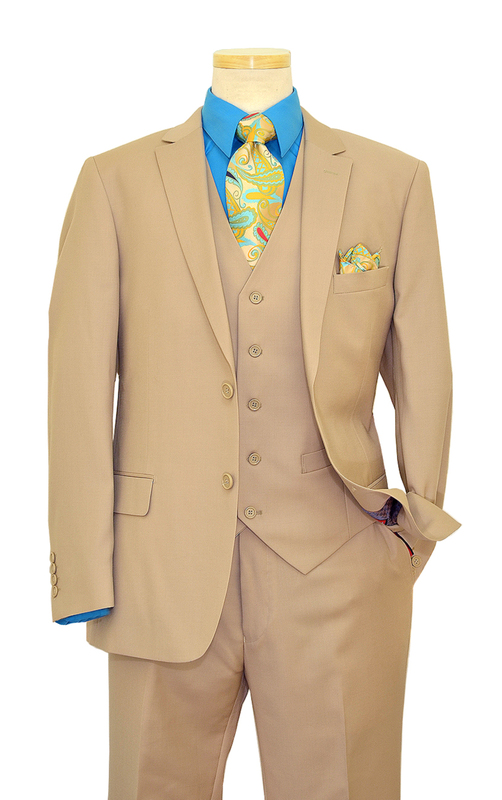 This Mantoni suit will be one of the finest suit in your closet without shelling out $2,000! If you're sick and tired of all the boring and ordinary suits that are out there, then this is a suit for you! 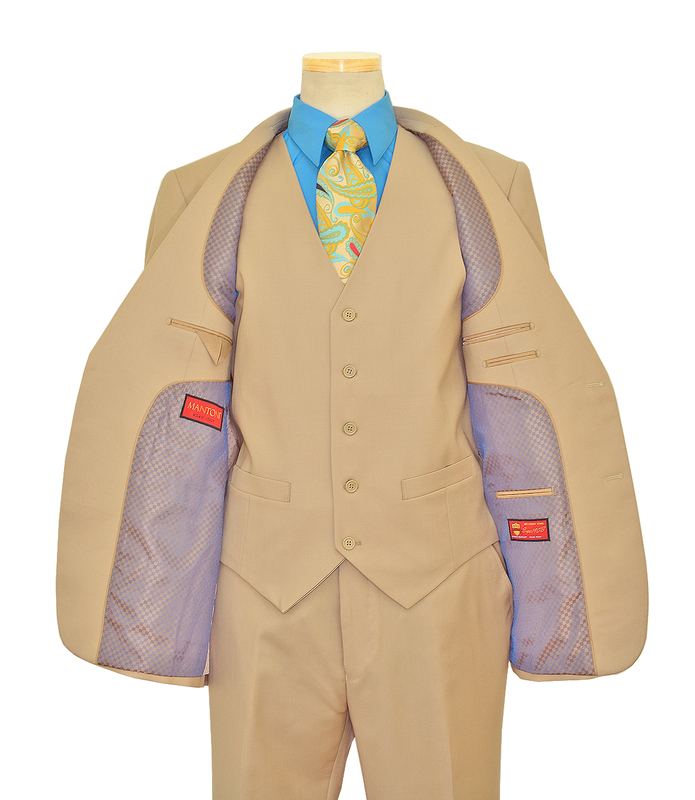 You will STOP the traffic with this suit! The material is one of the finest in the clothing industry: 100% EXTRA FINE VIRGIN Wool Blend. 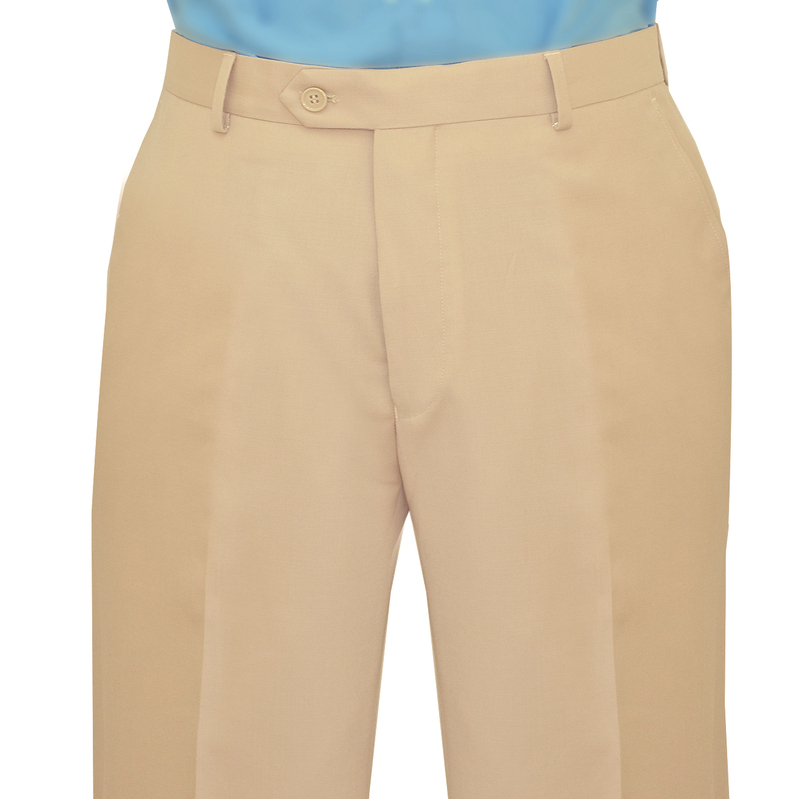 This high sheen material is so soft and silky, it drapes smoothly onto your body, flowing with your movements. This all-year-round material is also wrinkle-free; hence, no ironing needed! Two flapped besom waist pockets.